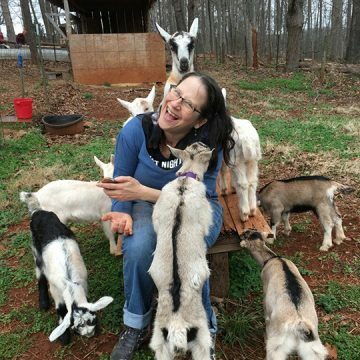 Sara Adduci is the head cheesemonger at Feast!, an independent specialty food store in Charlottesville. After falling hard and fast for an extra-aged Gouda in 2004, she started working in a cheese shop to support her addiction and never looked back. A self-proclaimed “cheese nerd”, she loves to share her extensive knowledge and passion for all things curd with any and all who will listen. When she is not obsessing about cheese, she is an avid wine enthusiast, home cook, and daily photographer of the tiny, precious things that catch her eye.